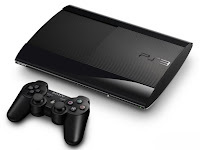 In a move that caught me completely by surprise, Sony recently released a third hardware redesign for the PlayStation 3. It's common for consoles to go through at least one revision: increasingly efficient supply chains, internal component redesigns, and injecting new life into an established product make it an attractive option for companies. I suppose the fact that Sony thinks it makes sense to to release a third revision of the PS3 is a testament to the protracted console cycle we're currently in. Then again, Sony has never been one to put too much stock in "making sense" when it comes to their hardware decisions (see: the $600 launch PS3 and the PSP Go). Whatever the reasons are, the announcement got me thinking about some of my favorite hardware revisions from past years, three of which I'll share here. The Original Xbox Controller or "Duke"
Sleek, understated, ergonomic: none of these words have ever been used to describe this monster. Microsoft was looking to make a big impact on the console market with the Xbox, and their original controller was a physical manifestation of this goal. I never could get used to the size and weird button layout of this controller. Thankfully, there would eventually be an option for people without Yeti-sized hands. Amazing what a little button placement can do for comfort. 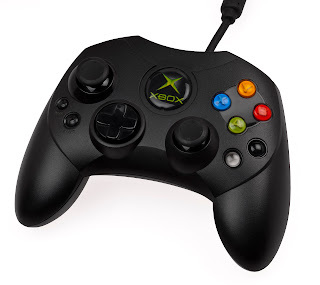 Looking back on it, a lot of hints about regarding the 360 controller are apparent: the diamond cluster for the face buttons and elongated hand grips would make a triumphant return in the next generation. 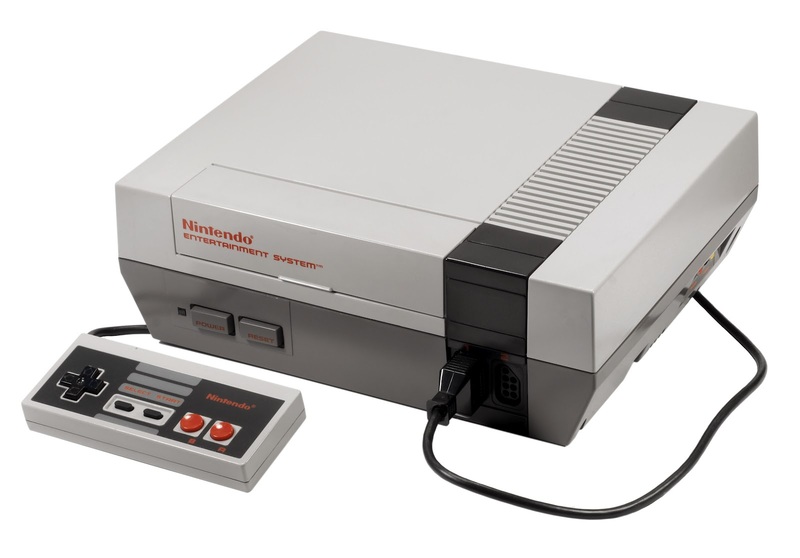 Part VCR, part toaster, all 80s: the original NES occupies a place in my heart as the box that started it all. To this day, its two-toned color and harsh angles have a retro-futuristic appeal to me. It's like something that would have seemed at home within an alternate reality future in a science fiction story from the 1950s. Of course, the design has some major drawbacks: not only were there plenty of moving parts to break (both the cartridge tray and hinged cover underwent a lot of stress in my house) the flat surface had the unintended consequence of acting as an alluring, yet very expensive and highly delicate, drink table. Even so, the thing was a workhorse. So much so that it still made complete sense to release a hardware revision well into the 1990s, nearly ten years after its release. A crueller, more cynical person might say this design was meant to placate folks not lucky enough to have the very similar-looking Super Nintendo. However, in 1993 the NES' library still stacked up pretty favorably to it's more powerful successor, and did so at a much lower price. 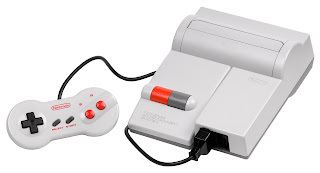 The NES-101's curvier, more compact, top-loading form was a simple, clean, and efficient way to play some of the most influential games ever made. Thankfully, the NES controller also received a redesign. I'm not sure why the North American NES controllers had sharp corners, but I do know that it was hard to convince your parents that you hadn't been playing video games all day when the evidence was imprinted on your palms. 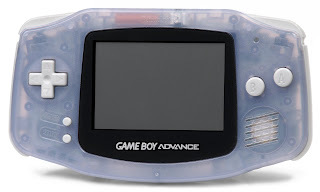 I love the Gameboy Advance as a platform, but I was never a fan of the original hardware. There's nothing offensive about it; it's just kind of uninspired. Not quite a rectangle, yet not quite an oval, it makes a relatively big footprint and doesn't offer much in the way of protecting its screen from the bumps and drops inherent in mobile gaming. Also: what is with Nintendo's infatuation with purple? 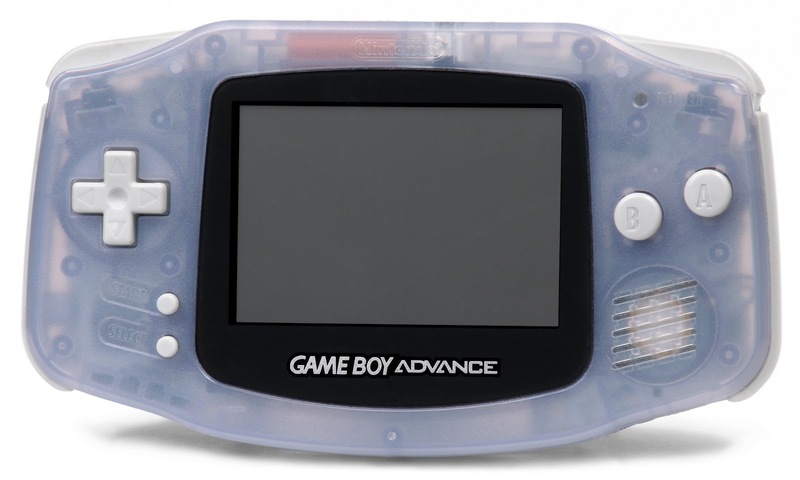 As luck would have it, the Advance's revision is one of my favorite pieces of gaming hardware (albeit with one huge caveat). 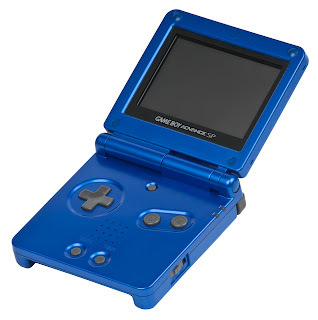 In many ways, the SP continues to define Nintendo's handheld design. It has clean lines, but retains comfortable curves. The clamshell design saves space and protects the screen. It's backwards compatible with the previous hardware generation. It's a small, sturdy device that is comfortable, portable, and able to play a massive library of games. Hell, the Pokemon games from the Game Boy/Game Boy Advance era alone will entertain your for hours and hours (that is, unless the unapologetically consumption-driven ethos of "Gotta Catch 'em All" weirds you out. Just remind yourself that those monsters need to be attacked and enslaved for their own protection). Of course, the SP's major drawback is the lack of a standard 3.5 mm audio jack. Whether this was a technical limitation or a cheap cash grab on Nintendo's part is unclear to me. Nintendo would never cut corners and then turn around to sell a kludgey, overpriced add on...right? I mean, right? In any case, adapter cables are easy to come by these days, making up for the one weakness in an otherwise outstanding package. So there you have it: three of my favorite hardware revisions. I suppose it's the never-ending paradox of the hardware business: by the time a piece of hardware reaches its best incarnation, it's time to move on to the new thing. As we approach the end of another cycle, allow me to open up the floor and invite you to stroll down memory lane: What were your favorite video game hardware revisions? I totally agree about the PSPgo: a pretty cool product released at a bizarre time into a crowded market. That Megadrive revision also sounds pretty cool; I'm going to have to go check out some pictures. 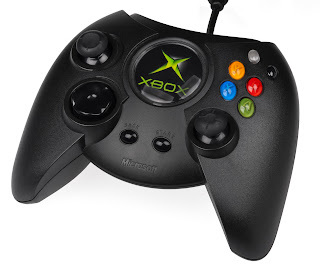 My friends called that original Xbox controller "The Cadillac." I actually preferred it to the S, but the 360 one is much nicer. Damn, Genesis-era stuff sure has a distinctive look. Kind of like really awesome VHS casette rewinders. I love the multi mega. Wanted one so badly.